The Sheriff's Office consists of thirty-five full time and thirty part-time employees that operate out of five divisions: Corrections, Communications, Transport, Patrol & Investigations, and Civil Services. The department is managed by the Sheriff, who sets policy and oversees every division. He is assisted by the Chief Deputy, who also works investigations and responds to calls. 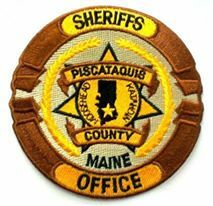 The Sheriff's Office is located at 52 Court Street, Dover-Foxcroft, ME 04426, (207) 564-3304. John Goggin was first elected sheriff in 1990 and has been consecutively re-elected since. He began his career over forty years ago as a part-time deputy in Guilford, Maine. As time carried on he became a much respected investigator for the District Attorney's Office. He lives in Sangerville. Bob Young joined the Sheriff's Office in 1984 as a dispatcher/corrections officer. He graduated from the 65th class of Maine Criminal Justice Academy as class president in 1990. Since that time he has been the child abuse investigator for the District Attorney's office, a position he still holds. He was promoted to Patrol Sergeant, Lieutenant Investigator, and then Chief Deputy in 2012. He lives in Dover-Foxcroft. Anita joined the Sheriff's Office in 1996 after earning her degree and spending a few years with the District Attorney's Office. She organizes civil service, manages the department's bills, and keeps the budget in line along with many other functions. She lives in Abbot. Pastor Beless serves at the Evangelical Free Church and as chaplain of Mayo Hospital. He is a certified police chaplain through the Maine Criminal Justice Academy. Ray works with officers and employees in personal and crisis situations and responds to death investigations to work with the family. It's not unusual to see Pastor Ray spending a night tour with the patrol guys. The jail kitchen is staffed by two full-time and two part-time cooks. They are state renowned for the quality of food they prepare. Keeping the balance of peace in a correctional setting is a challenge; the Sheriff's Office has had the long-standing belief that one way to help maintain that peace is by providing decent, home-style meals. In 2012 the kitchen served 43,207 meals at a cost of $1.78 per meal. Debbie Roberts is the head cook and Hillary Herrick assistant head cook, with Lucy Grant, Judy Thompson, and Linda Roebuck working part time. The Sheriff's Office believes in strong community involvement and as such many of the deputies take on extra duties to help build community ties. We have a DARE instructor that teaches in the MSAD 4 and MSAD 68 school districts; deputies that teach firearms safety, coach school sports, are active in churches, serve on various boards and committees, raise funds for worthy causes, and other ties that make the Sheriff's Office a true community partner.